Dan Soder is a New York City based comedian and actor who’s best known as ‘Mafee’ on the hit series Billions on Showtime. 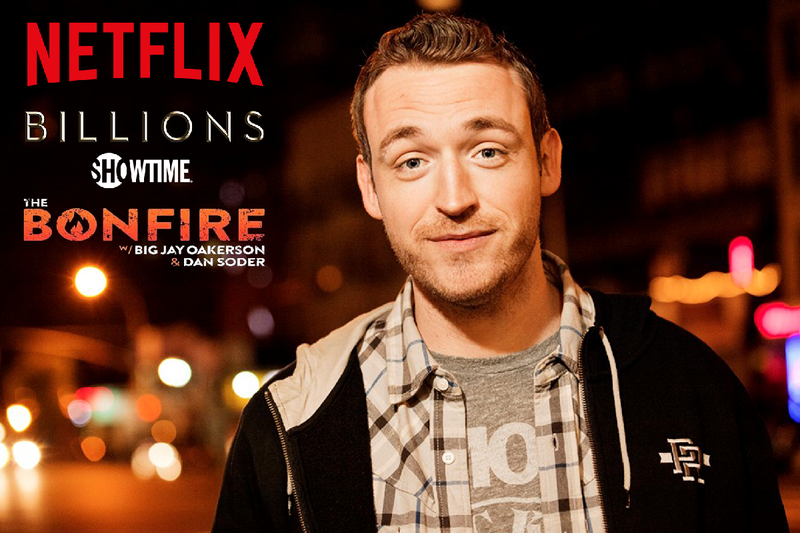 His special The Standups is now streaming on Netflix. In 2016, his first hour-long stand-up special, Not Special, premiered on Comedy Central. Other credits include: Comedy Central’s Half Hour, Conan, Inside Amy Schumer, and @midnight. Dan also hosts Sirius XM’s The Bonfire with Big Jay Oakerson, every Monday through Thursday at 6pm ET on Comedy Central Radio.